Saturday, May 2, 11 a.m. through 3 p.m. This free program takes place on the first Saturday of every month and invites children ages 4-12 and their families to make a creative project in conjunction with exhibitions. No registration required. All materials are provided and families can take home their artwork. Explore the museum in new and theatrical ways and show off what makes your family special with creative drama activities including improvisation and more, guided by ASU Theatre for Youth graduate students. For inspiration, take a look at the art in Family Matters (on view May 2 – Aug. 1, 2015). 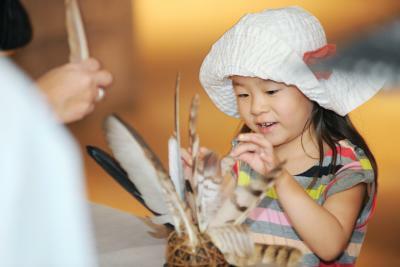 Support for First Saturdays for Families at the ASU Art Museum has been generously provided by The Steele Foundation.